I love that coconut water benefits offer healthy hydration in the heat of the summer, it is truly one of the best drinks to enjoy when it's hot out or after a good work out. One of my favorite winter destinations has always been Costa Rica. The people are warm, the sound of the language delights the ears and the weather is sunny and warm. But one of the things I enjoyed the most when travelling to any tropical country is the fresh coconut water you can buy from local street vendors. There they would be with a cart of fresh coconuts, a handy machete, straws and a welcoming smile. So really the biggest benefits come from all the potassium this beverage offer. Does Coconut Water benefit Really Live Up To All The Hype? We know this beverage does help hydrate the body, provides important electrolytes and lots of potassium. Regarding all the other claims that are being said to help sell coconut water, I don't think enough studies have been done yet to know anything for sure. But it is a good healthy drink to enjoy. Things to be aware of when drinking this wonderful beverage. 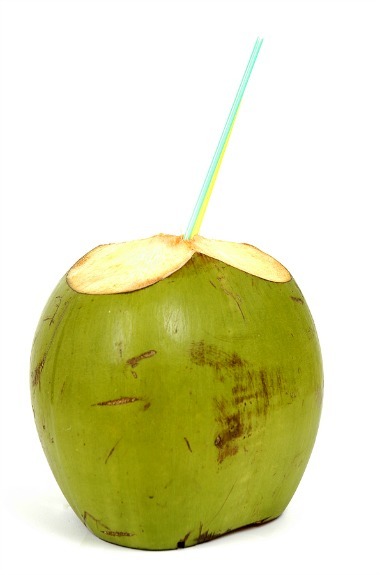 Coconut water can be quite pricey, so you may want to shop around before purchasing some. Depending on one's budget, you can enjoy this beverage daily or just occasionally as a treat. You can purchase coconut water on the internet from several companies including Amazon, but I find my local Costco offers the best price (so far) and sometimes they even have it on sale (that's when I like to stalk up on the stuff). So in a nutshell, if you would like to expand your choices of beverages and don't mind trying something a little different this is a nice healthy choice. Mainly because it helps hydrate the body so well, offers needed electrolytes and lots of potassium.